When you have created your conversion widget and the field asks for an email address you can, with help from a trigger, move that address into your subscription list in your email system. 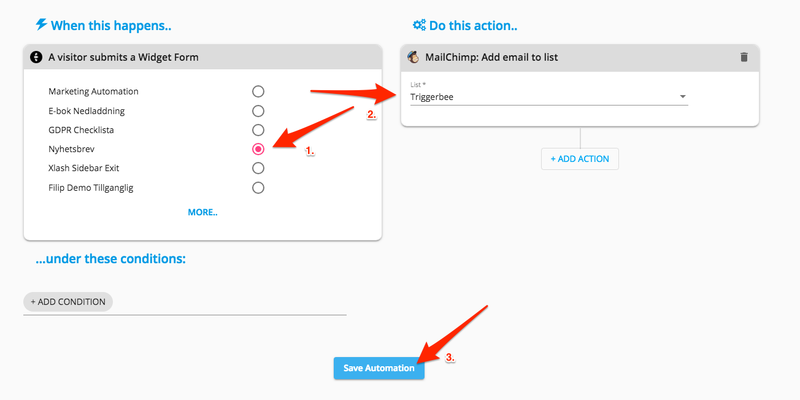 (This action requires that you have integrated an email system to Triggerbee.) For this to happen you need to set up a trigger that will follow this process.